After a long time I could complete the edges of this week on Randje per week challenge 2015 on the same day it was posted. After returning from vacation there were three weeks of edges to catch up. This took a long time. This week’s edges were easier to work on. The free graph for the edges are here. The week’s work was quite slow. The herringbone filling with dark aqua green thread [anchor-189] on the borders was completed. More filling stitches with other colours are to be started. 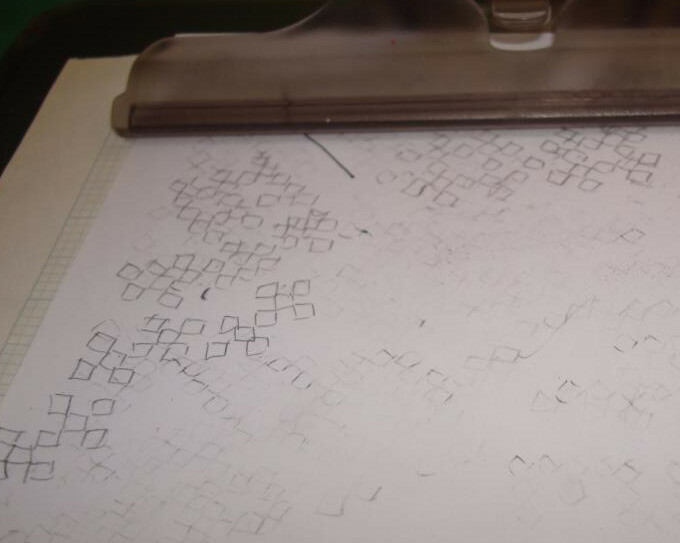 It takes long because, for each and every square the working thread has to be cut and restarted again. Yesterday Navrathri festival started. This is festival which is celebrated for nine days. Clay figurines depict the various Gods and significant mythological scenes are kept on display. I have done this every year, when I lived in India. Many rituals are also performed glorifying the female Gods. Women are invited. I need to go for a visit. Our traditional saree is the dress code. 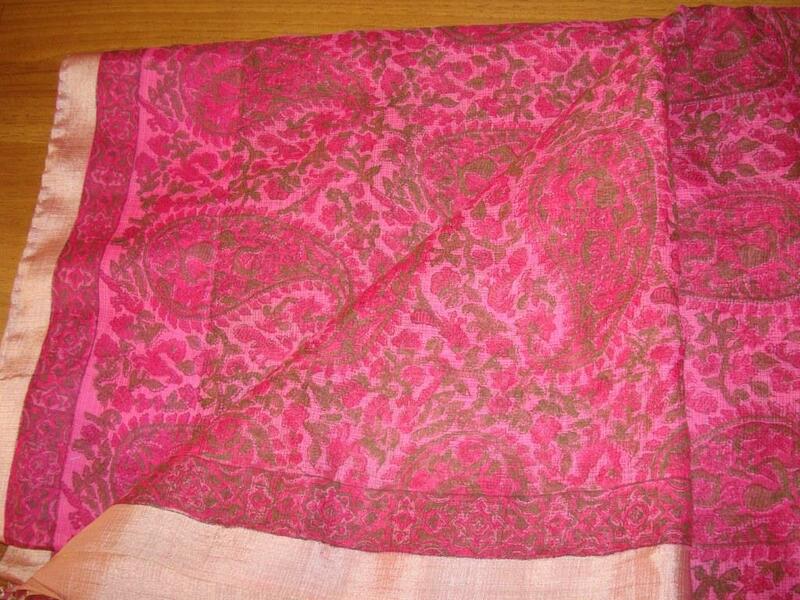 I bought this cotton kota saree designed by Arundati Menon. I had to attach falls [a five inch strip of fabric which is attached to the saree border, where it touches the ground, to protect the saree] on this saree. After working the second randje, the embroidery on the borders will resume. The green yoke for white/pink printed tunic was completed this week. It was easy working along the stripes. After completing the embroidery, white sequins were added to these linear stitches. This ready to wear Patiala salwar was bought on my previous trip to Chennai. 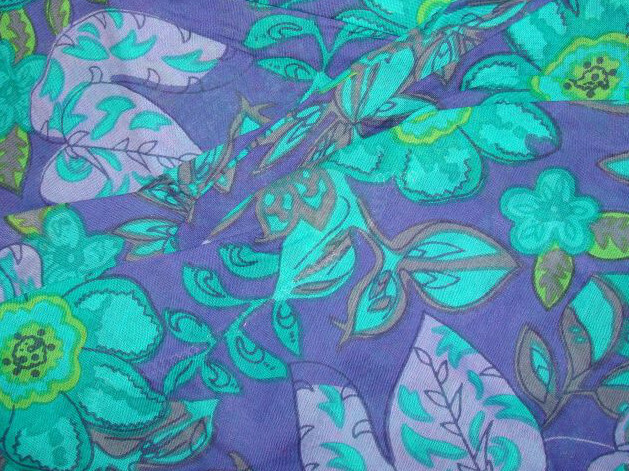 A dark blue fabric was chosen for the tunic. The pattern is inspired by ethnic Indian embroidery. Lots of spaces to be filled with herringbone stitches! 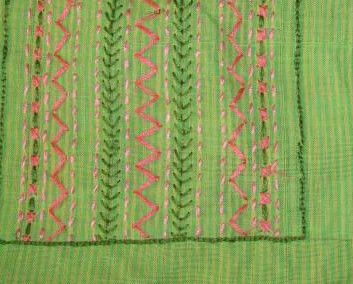 The thread colours are plucked from the Patiala with an addition of white and pink. The embroidery on 3 cm borders for the sleeves and sides are started. 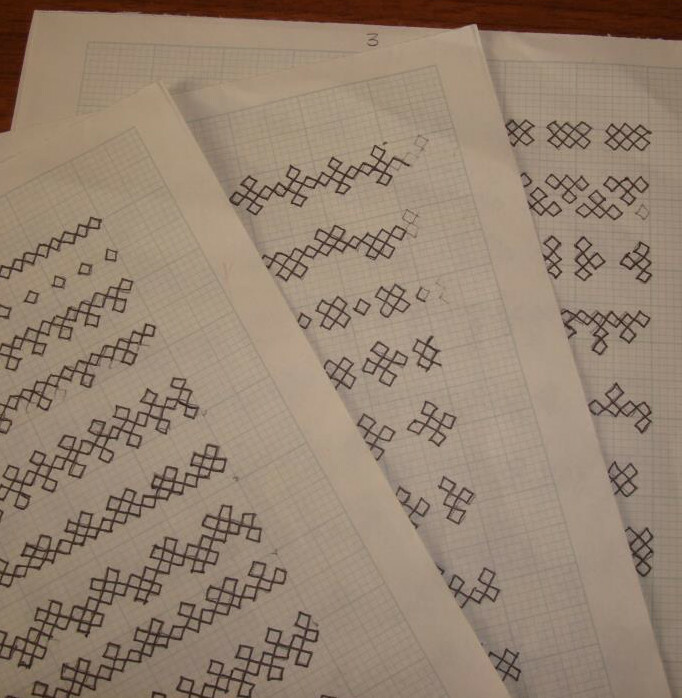 My kutchwork border designs are moving very slowly, so nothing much to report there. This week’s edges are interesting to work on this Randje per week 2015 challenge. I may need to prepare another fabric for the rest of the edges on this challenge. The free graph for these edges are here.